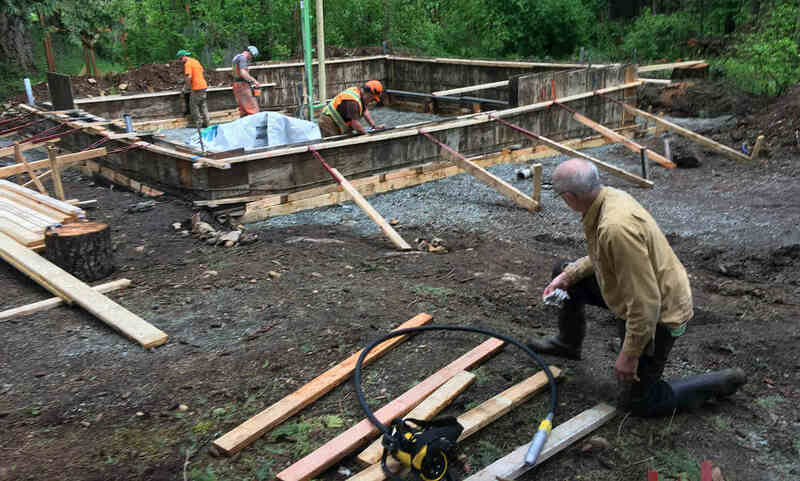 The crew from Pacific Group Developments were contracted to land clearing and level some rough terrain (containing some large stumps) and to build forms and pour a large concrete pad for the future site of a storage building. To my surprise, within 2 days of agreeing on the project, work started. The crew showed up exactly when we agreed, worked hard and got the job done over a period of 4 days. The best aspect was that I was involved through constant consultation. Kelsey and crew offered several creative solutions to some of the layout problems that I had and made several improvements to my original plan. At all points I was consulted and improvements suggested with the result that the job was done to the highest standards with no shortcuts. I appreciated this as the job could have been technically completed with much lower quality. It is thanks to Kelsey that he wanted to do the best job possible to ensure customer satisfaction and to create work that the crew was proud of. Throughout, a friendly and polite crew. The site cleanup was excellent, allowing me to appreciate the completed job without having to do more work!